At the event, enter to win a $20 gift certificate to Souvlaki Boys Grill. 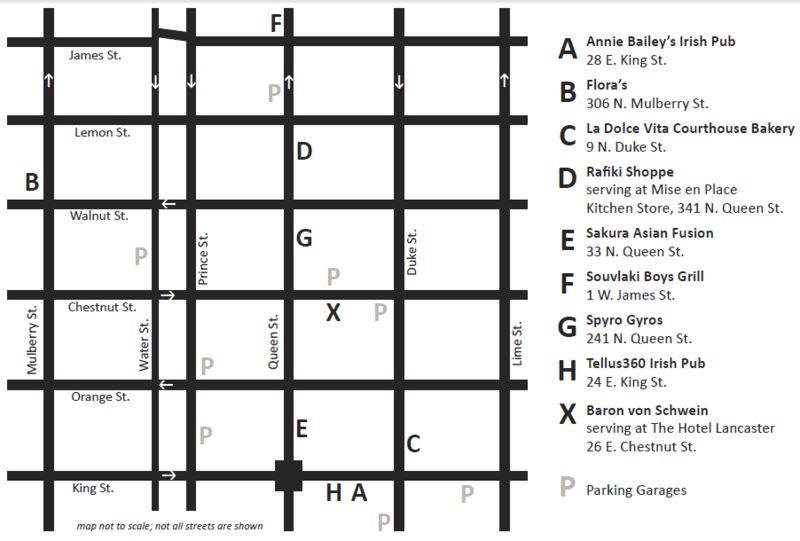 Here's a map of the participating eateries. You will receive a map with your passport ticket, so you do not need to print out this one.